As Jordan Spieth stepped from the podium following his 10-minute give and take with the media on Thursday he brushed past Billy Horschel who offered the “Golden Child” a friendly fist bump and some foreshadowing. “See you on the first tee [Friday afternoon],” Horschel smiled. 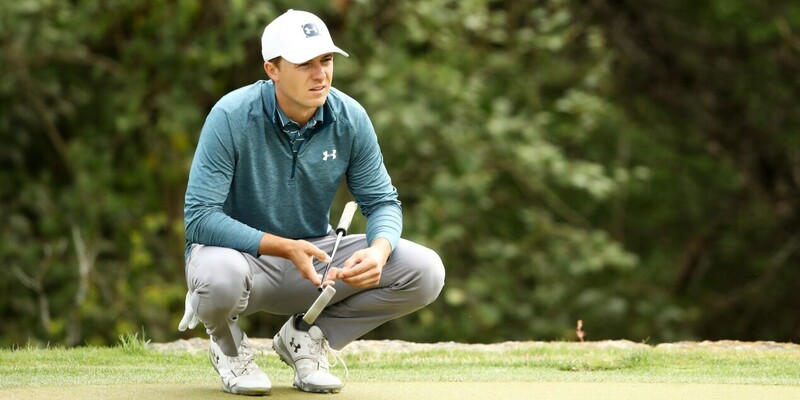 Spieth and Horschel tied their match on Wednesday setting up a playoff scenario between the two to decide who advances to the weekend at the WGC-Dell Technologies Match Play following the third round of pool play on Friday. More golf, more pressure, more chances. At least that’s Spieth’s mindset following his 3-and-2 victory on Day 2 over Kevin Na that was, because of the nuances of match play, not nearly that close. On Tuesday Spieth, who remains mired in a slump that now stretches back more than 1 ½ years since his last victory on the PGA Tour and eight months since his last top-10 finish, explained the intricacies of match play and why he was looking forward to this week’s respite from the normal stroke-play grind. “I think what can hurt a scorecard doesn't hurt your scorecard as much in match play. And then sometimes when you win holes it's like, well, I just won that with a par, and that guy screwed up the hole. So you're like, OK, you're not necessarily like I just made three birdies in a row,” Spieth said. On Thursday at Austin Country Club he never had to make that kind of distinction. He built a 3-up lead with a birdie-birdie-eagle run starting at the fourth hole and was 6 up through 12 holes before the left side of that busy mind made things mildly interesting. Spieth bogeyed the 13th hole, lost the 14th to a birdie by Na and added another bogey at No. 15 before closing out the match with a par at the 16th.